Start with a magic ring. Ch does NOT count. 2. Ch 1. Sc in same st. *Ch 4. Sl st into 2nd ch from hook. Sc in next ch. Hdc in last ch. Sc in next st on the circle. * work 8 times. Join with sl st using 3rd color. 3. Ch 2. Dc 2 in same st. Sc at the top of next spike. *Tc 2, ch 1, tc 2 – all in the middle bottom after spike. Sc at top of next spike. Dc 2 at the bottom of next spike* work three time. Tc 2, ch 1, tc 2 – all in the middle bottom of next spike. Sc at the tope of last spike. Join with sl st using 2nd color. 4. Ch 1. Hdc in same st. Hdc 4. Hdc 3 in ch-1 space in corner. *Hdc 8. Hdc 3 in corner ch 1 space. * work 3 times. Hdc 3. Join with sl st. Tie off. Weave in your ends before starting the construction. Sew the squares together by laying one on top the other, right sides touching. Start in middle hdc in corner and sc 12 through Back Loops Only (BLO) to the other corner. 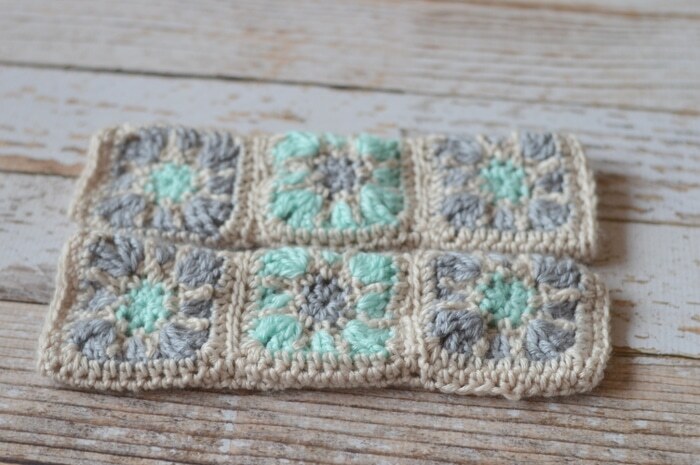 Repeat with other square, so the three are sewn together. Lay piece flat and start at the top right with the right sides facing you. Join at the middle hdc in corner. 1. Ch 1. Hdc in same st. Hdc in each st across, until you reach the middle hdc in corner of the last square (don’t work in the space where you sewed them together). Turn. Ch 1. Hdc in same st. Hdc 3. Ch 5. Sk 5 sts. Hdc in next st. Hdc in each remaining stitch. Ch 1. Hdc in same st. Hdc across, leaving 9 sts unworked. Ch 5, sk 5 sts. Hdc in next st. Hdc in last 3 sts. Turn. 3. – 9. Ch 1. Hdc in same st. Hdc in each st across. Turn. Once you have worked nine rows, or 2 more sts in the last st (making 3 total). Turn your piece 90* clockwise. Work a row of sc across the top. Sc 3 in next corner. Continue around your piece, working sc down the side and across the bottom. 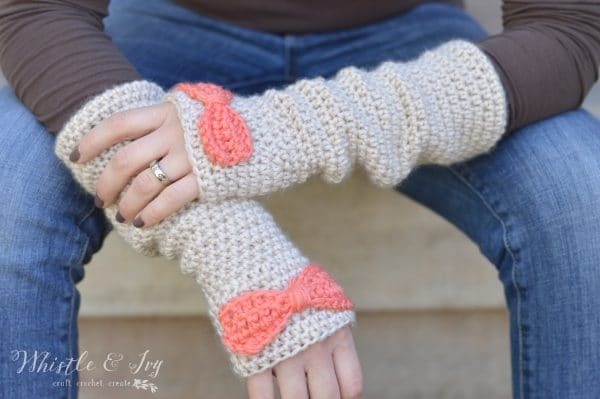 Fold the arm warmer in half lengthwise, and sl st up the side, closing it. Weave in your ends. 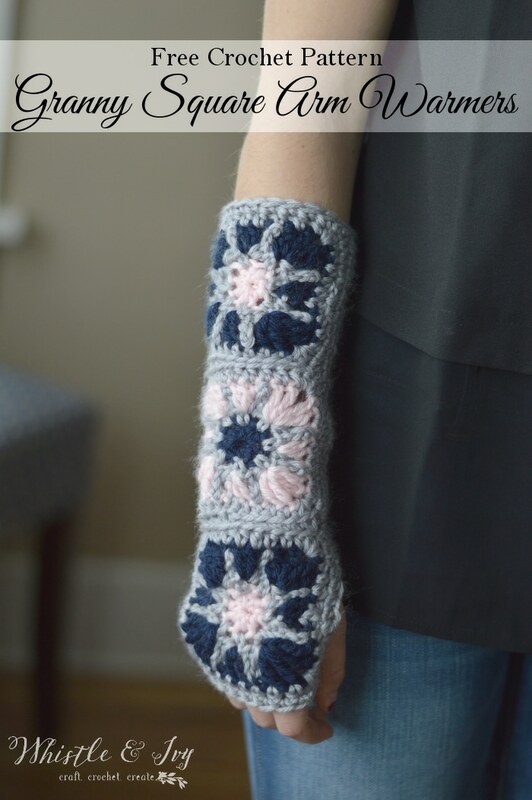 Note: to size up these arm warmers, work extra rounds around the granny squares before construction, this ensures the square will always be in the exact middle, instead of on the side. 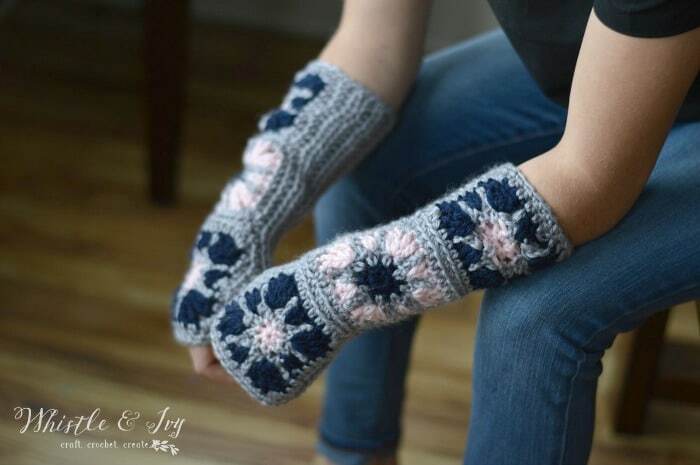 These are so lovely, I gave a pair to my mom for Christmas and she loved them! 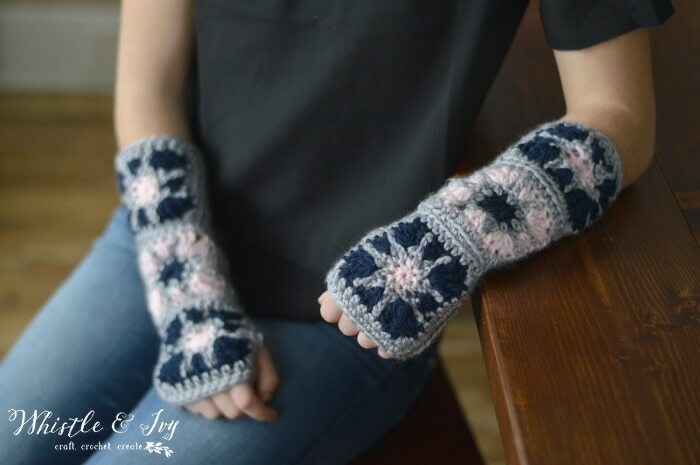 I also made myself a pair, and I love wearing them while I crochet, or work on my computer. 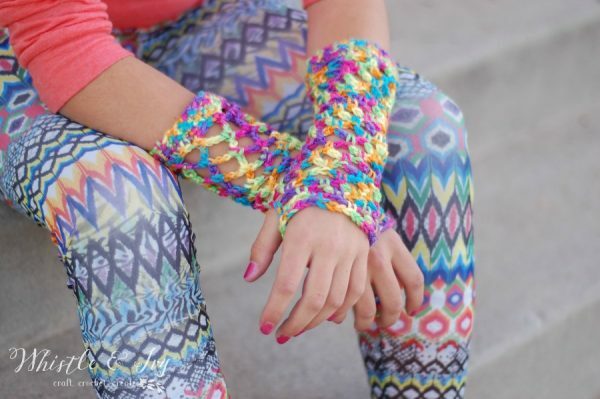 I hope you love these Starburst Granny Square Arm Warmers! Please share if you do! Come join the Whistle and Ivy Facebook Group, and share your creations! 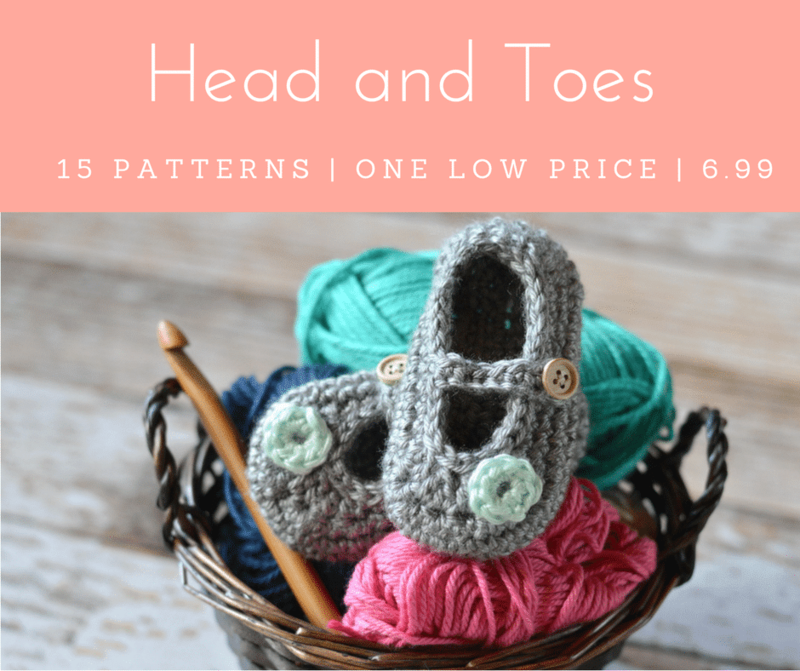 And don’t forget to subscribe to my weekly newsletter so you don’t miss any free crochet patterns. Round 4: Are we essentially working 8 hdc over 12 chains? We’re turning an octagon into a square? I love the look of these, but the tension is challenging. Did you block the individual squares before joining? That might help. Hm. I may be confused by your question. By round 4 it should look like a square, round 4 is a border. In step 4 when doing the hdc are they all in same spot or in the spaces between? You are working them each in their own stitch except of the corners. You will work 3 in the same corner stitch. In the granny square section it says Hc is that supposed tone an HFCs or dc? Sorry about that. It’s supposed to say hdc. 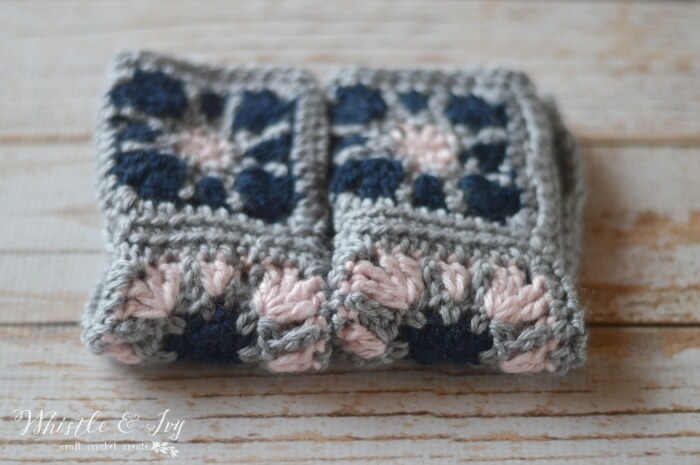 I love anything granny square so these are right up my street, pinning. Very cute! They would be perfect for morning farm chores. Thank you! Yes they would! 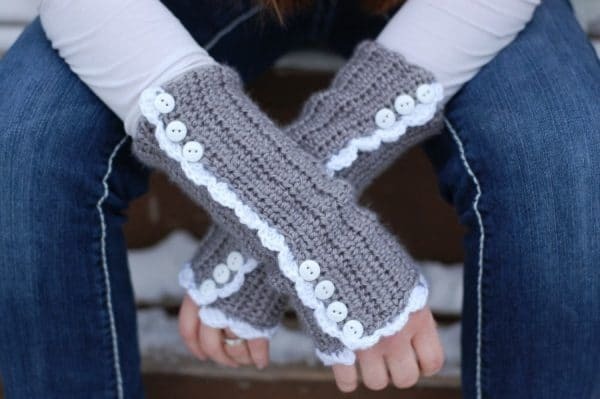 Love the color combo you used for these! I have not seen the term “magic ring” before. How is it made? You are basically working inside of a slip knot, this way you can pull it tight, and eliminate the hole that happens when you work inside the chain. You are welcome to use the ch method, but I prefer to not have a hole there. 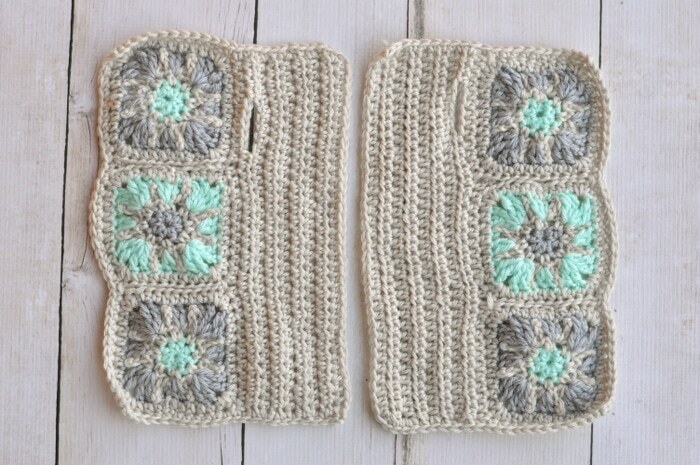 What a great idea for granny squares! 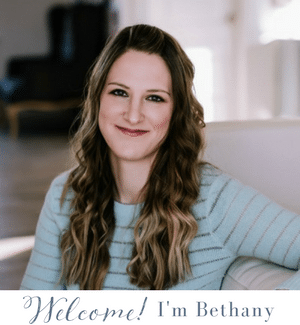 I adore your designs. Thank you for sharing them all. Thank you very much :) You are SO welcome!